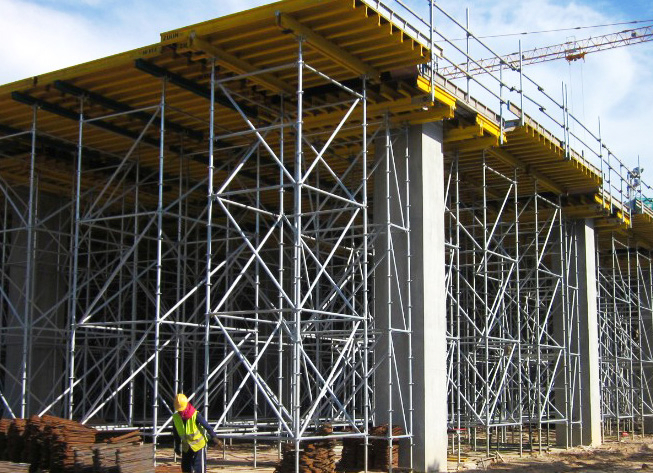 The Ring-lock Modular System is the most advanced scaffolding system on the market. It assembles quickly and easily, at the same time providing enough versatility to any building configuration. The working principle of Ring-lock Modular System is similar to the Cup-lock System, but the difference is the increased rigidity of the connections. The flat design of the Ring-lock is also helps to prevent from clogging the joint with dirt of whatever type. Ring –lock Modular System is one of the most popular and widely used systems in newly constructed project. Ring-lock is a proven multipurpose scaffold system which can be used for all forms of access and support structures in the building construction industries, façade retention, offshore construction, viaducts etc. Ring-lock Modular System is easy and faster for assembling. Moreover, hot dip galvanization extends the service life of the Ring -lock system components. The system components are light weight and could be man handled easily. This system also confirms to the latest occupational safety standards to provide the clients with applicable and cost effective solutions for the whole requirements. The comprehensive range of Ring- lock components allows it to be used with traditional scaffold boards or battens. 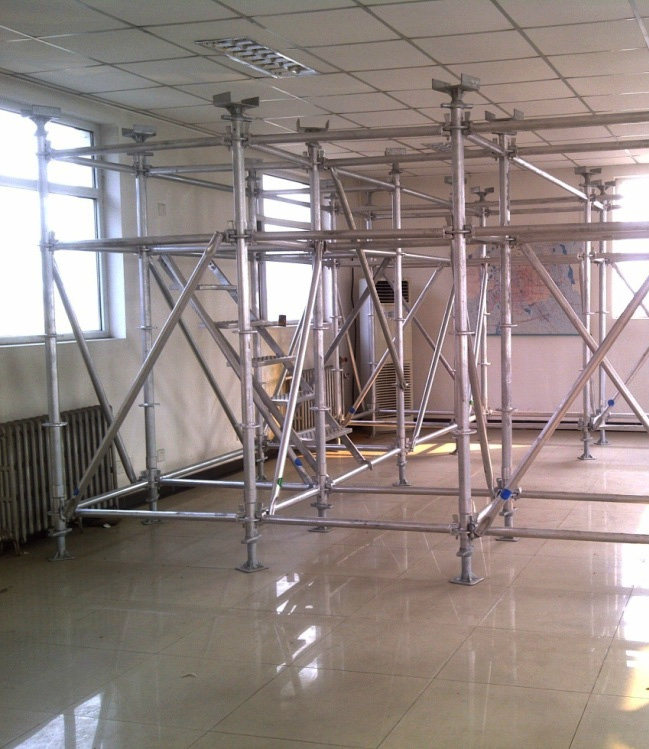 It can be used to create a huge range of access and support structures, circular scaffolds, loading towers etc. Ring-lock Scaffolding is a multi-purpose system suitable for access and support in all types of construction of building & Civil engineering project.